Efforts are now being taken in order to discover the true cause of death of renowned Chilean poet, Pablo Neruda, according to the star.com. Neruda has published many books and works of poetry which left a tremendous impact in the lives of readers worldwide. In line with this, a talented and highly artistic poet Pamela Jean Garner shares her own literary collection in her book “Legacy of Love,” a soulful work which Garner hopes would inspire millions of poetry fanatics worldwide. In this modern and fast-paced era, it is indeed rare to find the time to ponder and contemplate about one’s life. With the rise of many distractions, people tend to lose their own spiritual balance and faith in God, and in the end, find themselves lost in darkness. 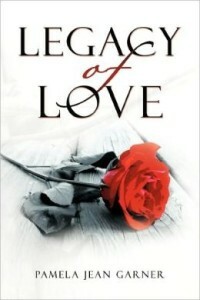 “Legacy of Love” seeks to inspire people to move away from this cycle. Sharing Christian values and spiritual insights on the true things that matter in this world, this profound masterpiece opens the heart with truth and wisdom. Each beautifully crafted work brings a sense of awareness about all avenues in which God dwells in every person. These compiled poems and relevant Scriptural references uplifts those who find themselves lost in this complex and confusing world. From learning about restoration, grace, hope and passion, to the realization that there is much more to life than one’s present circumstances, this compelling book is a must-have for those who wish to understand their own journey of faith. For more information on this book, interested parties can log on to http://www.Xlibris.com.au.